The Centaurs Group mission is to nurture and enrich the lives of children and adults by developing their physical, mental and life skills through involvement in sports, team-building and leadership training programmes. 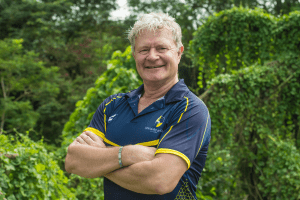 Tim Lambert founded Centaurs Rugby in 2002 and began coaching rugby to a small group on borrowed pitches. 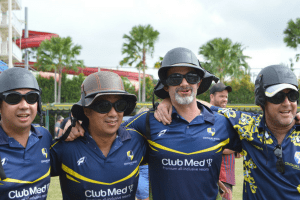 Centaurs is now the oldest junior rugby club in Singapore, and has its own home ground – Centaurs Sports Park. Championing World Rugby’s values of integrity, passion, solidarity, discipline and respect, our club embraces the ethos of “Rugby for All”. This includes our dedicated Girls Contact Rugby programme. Bryan Coole is our Club president. With three boys in the Club, the Coole family have been highly active within Centaurs Rugby for over a decade. From organising Family Fun Days to managing the Minis section of the our tournaments, Bryan and his family epitomise our mission and ethos. 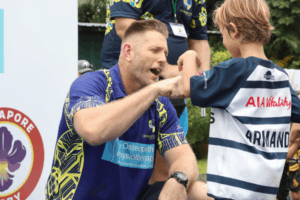 Centaurs players are mentored by Professional Coaches, who impart their current International and Premiership playing experience to our young members. 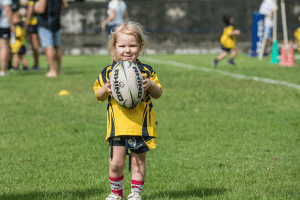 Complemented by passionate volunteer parent coaches, age group Head Coaches, and a Director of Rugby, your child’s coaching team is highly trained and experienced. 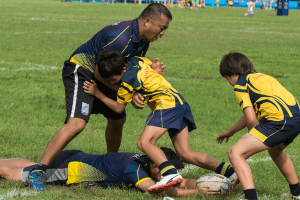 Our U10s to U17s participate in the Junior Rugby Clubs Singapore (JRCS) league from January to June each year. There are opportunities throughout the terms for all age groups to play friendlies, in tournaments, and to tour internationally. 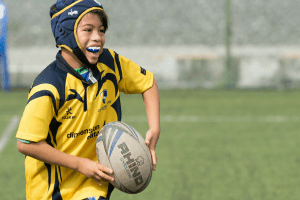 Our Mini-Rugby Development Pathway follows those tried and tested by unions around the world. It introduces 5 to 12 year olds to the skills and technical aspects of Rugby Union in a graduated environment. Centaurs ensures the child’s development and progression to the 15-a-side game (at U13s) is smooth and safe. Yes, it’s all about the kids, but our parents have a great time with us too! From tours to age group celebrations, parents’ runarounds, and social nights, we’re a friendly bunch that love to get together. Get involved! As a Sports Club, Centaurs also offers wide range of sports and recreation activities beyond rugby. 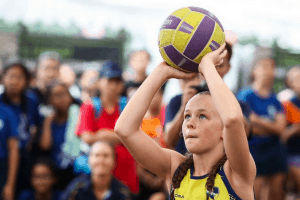 We offer Netball coaching to girls and Touch training to boys, girls and parents. We also organise the Jungle Run trail running events, and host regular mountain biking clinic and races.